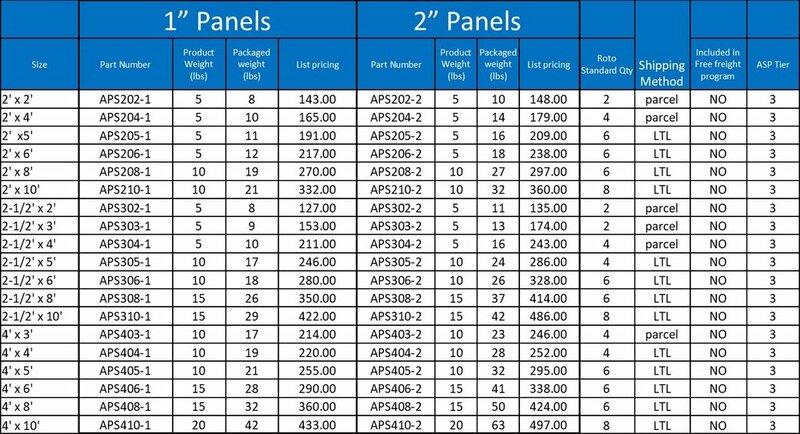 Marsh acoustical panels have two different size options: 1" panels and 2" panels. Most applications would require the 1" panel size while 2" panels would help with higher pitched sounds. There are 24 fabric colors to choose from as well as the ability to use custom graphics that can help market and brand an organization while serving as a functional sound reducing tool. There are stock fabric colors as well as non-standard fabric colors - lead time details are listed below. Marsh Acoustical Wall Panels reduce sound intensity and reverberation and are available in a variety of colors! 2 weeks standard, Custom Graphic panels 3-4 weeks and call for lead times for non-standard colors.